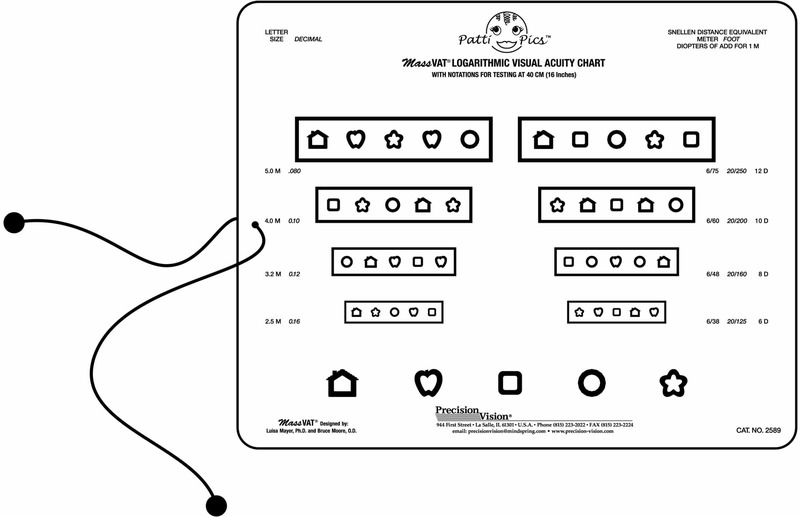 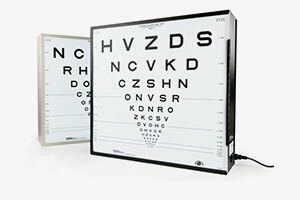 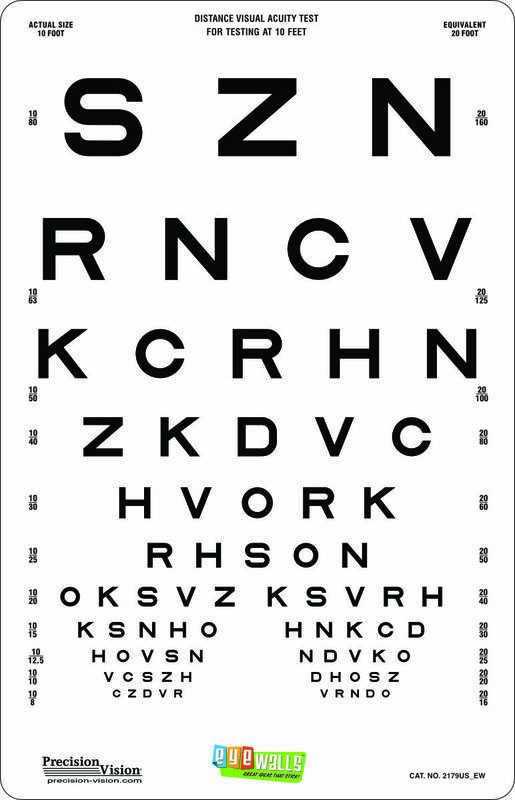 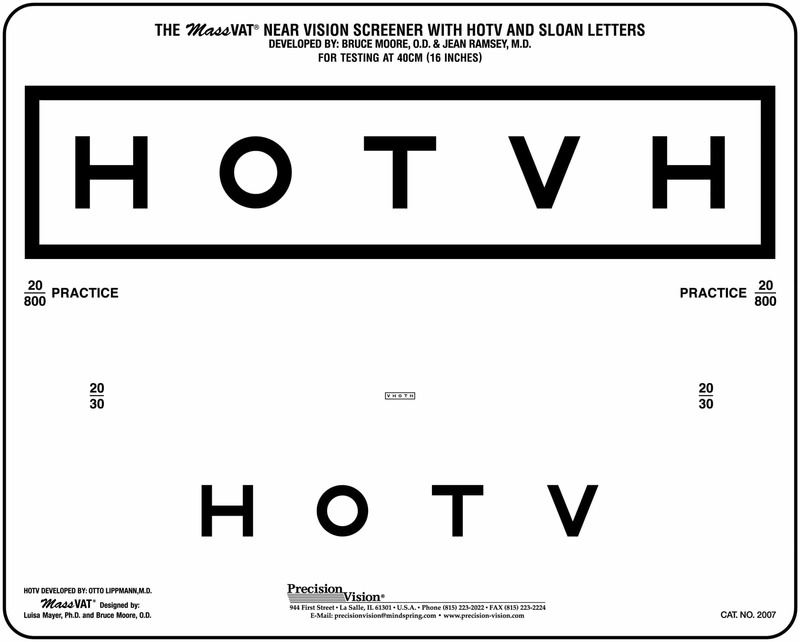 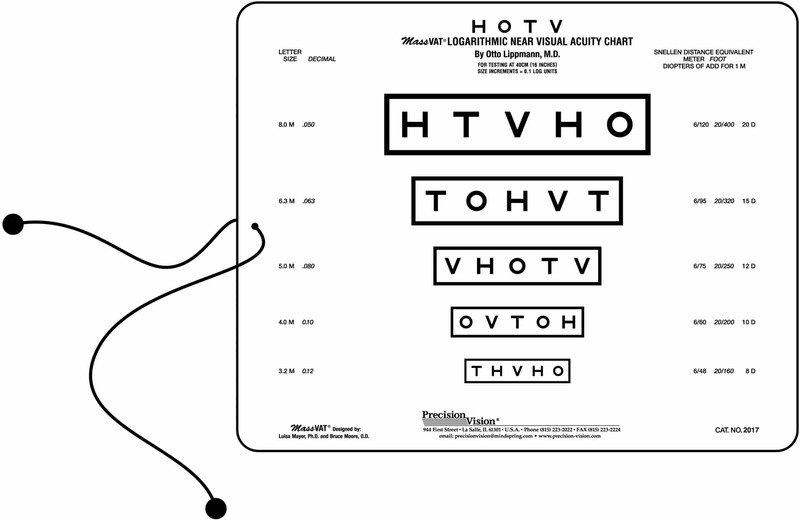 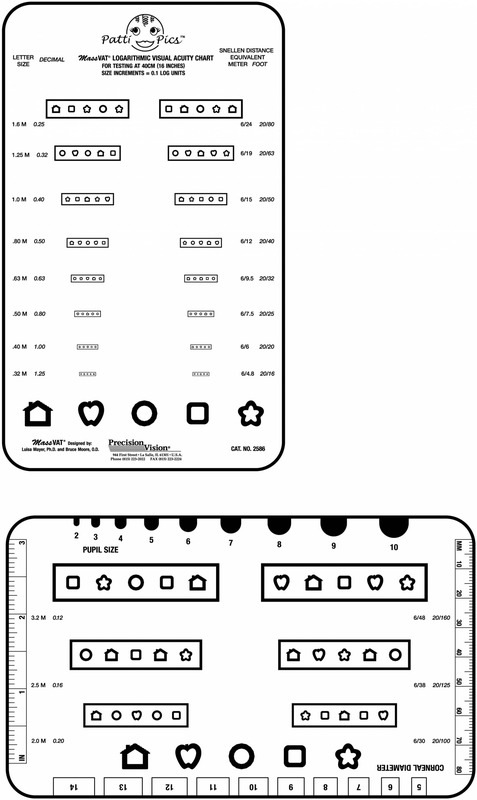 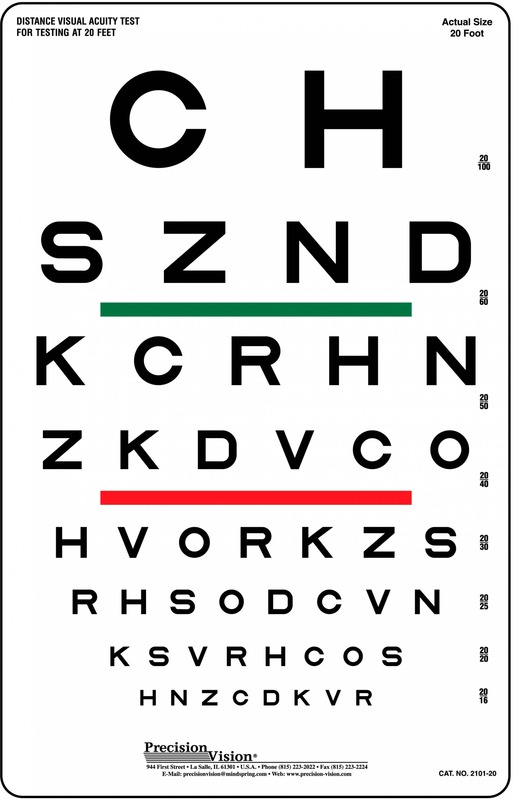 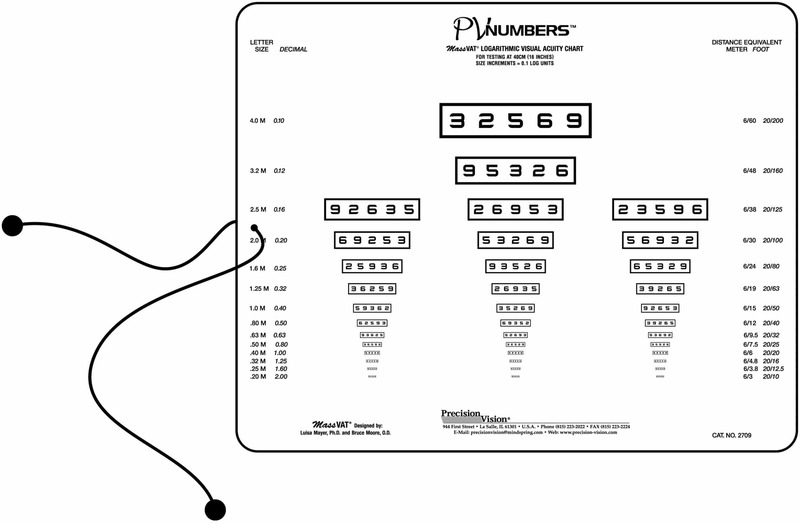 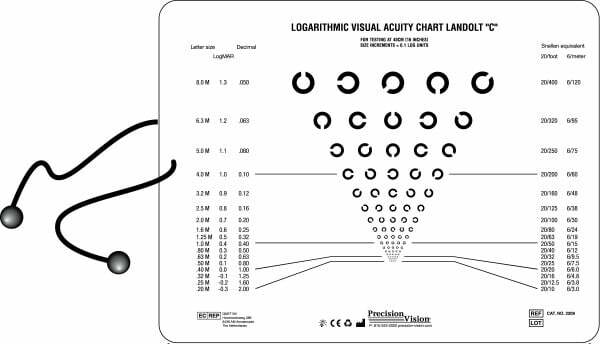 The Landolt C, Landolt Ring or Broken Ring vision chart is considered the gold standard of alternative vision tests. 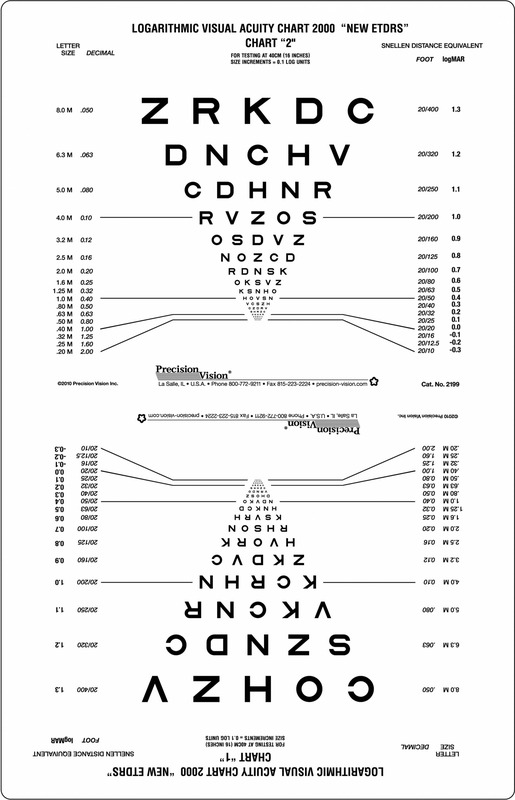 It features only one optotype. 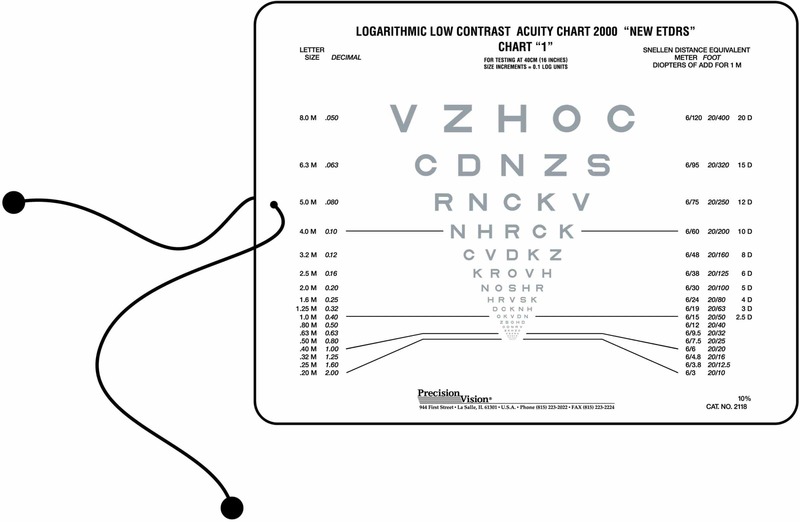 This feature makes it so that the patients merely has to gesture the direction they view the broken or missing part of the ring. 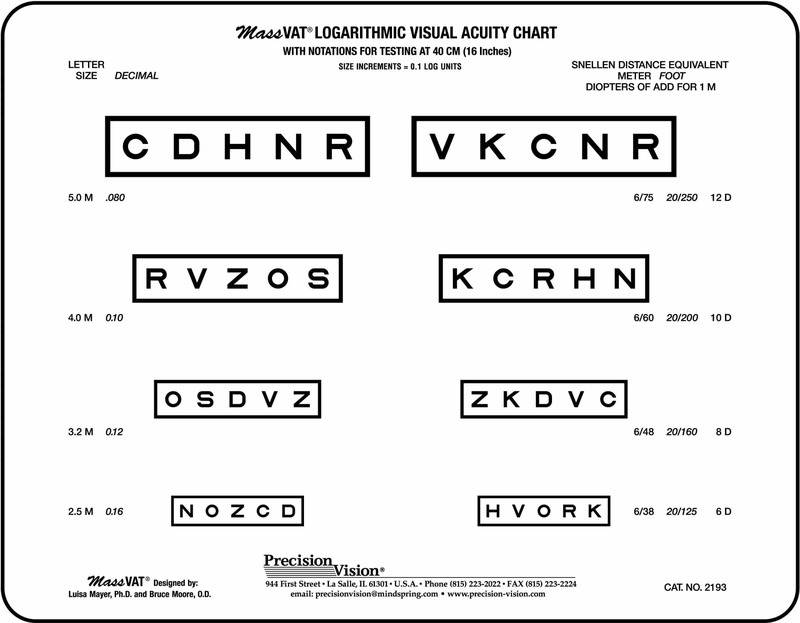 This is a great feature for testing illiterate and mute patients or patients not familiar with the Roman Alphabet. 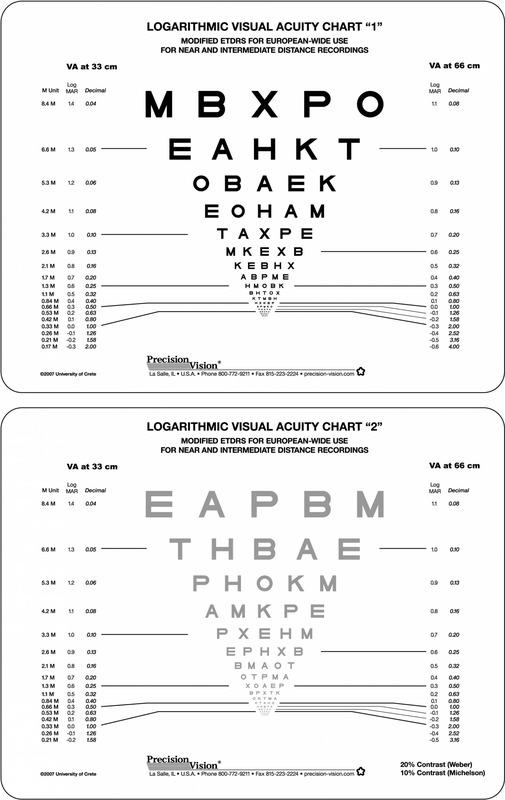 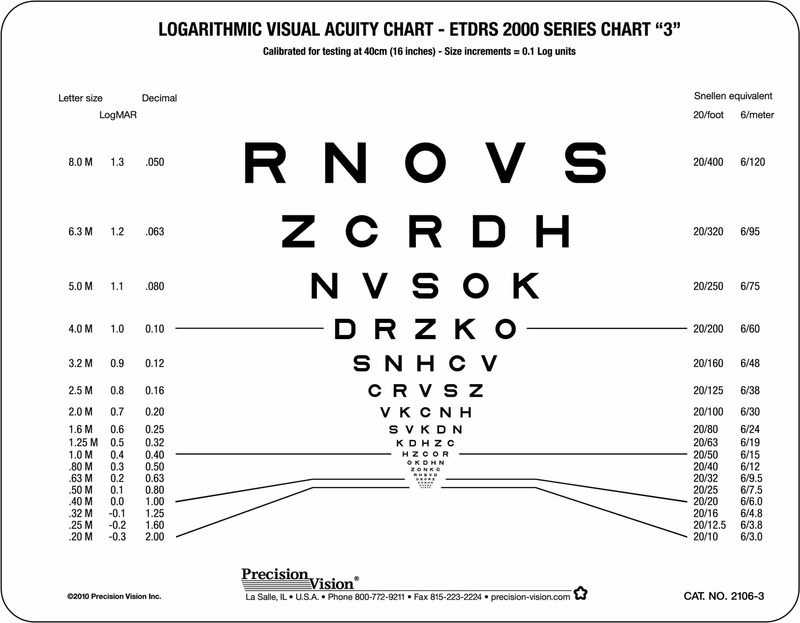 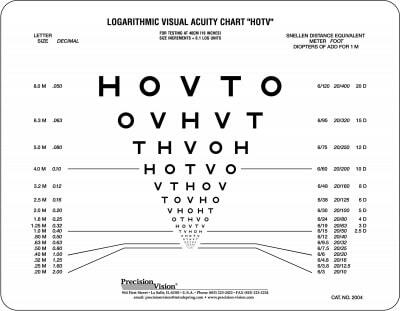 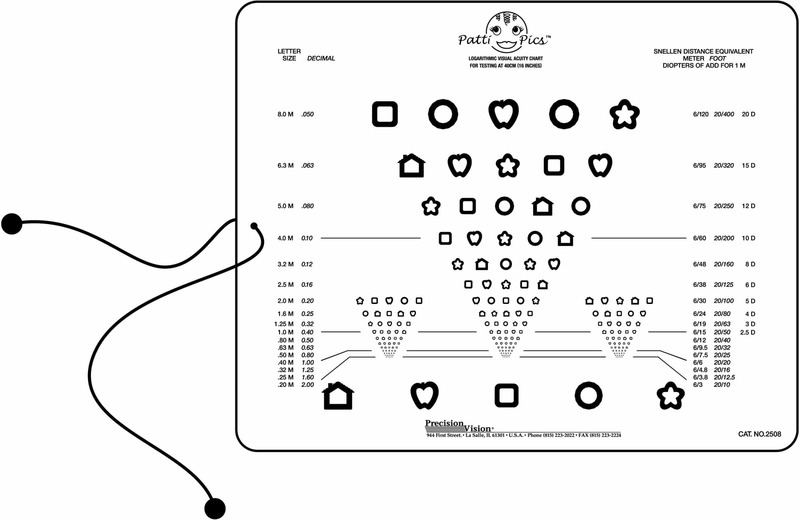 The Landolt C chart is great for the detection of Astigmatism. 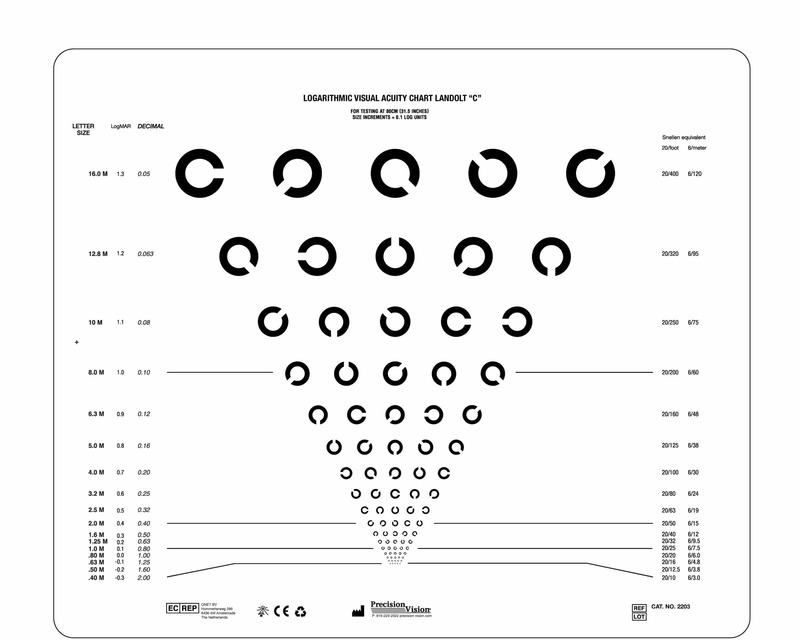 This chart features the Landolt C in eight positions rather than the traditional four which allows it to meet the ISO 8596 standards for testing.